Kevin Orloski, D.C., is a chiropractor located in Buffalo Grove, IL. Take the next step and contact Dr. Kevin Orloski, D.C., for a consultation in Buffalo Grove, IL or to get more information. Thomas D Denecke, D.C., is a chiropractor located in Buffalo, NY. Techniques: • Logan Basic Take the next step and contact Dr. Thomas D Denecke, D.C., for a consultation in Buffalo, NY or to get more information. Elizabeth T Lyons, D.C., is a chiropractor located in Buffalo, NY. Techniques: • Activator Methods • Sacro Occipital Technique • Diversified Take the next step and contact Dr. Elizabeth T Lyons, D.C., for a consultation in Buffalo, NY or to get more information. Jessica D'Amore, D.C., is a chiropractor located in Buffalo, NY. Take the next step and contact Dr. Jessica D'Amore, D.C., for a consultation in Buffalo, NY or to get more information. Steven Ciolino, D.C., is a chiropractor located in Buffalo Grove, IL. Techniques: • Applied Kinesiology • Cox • Diversified • Sacro Occipital Technique Take the next step and contact Dr. Steven Ciolino, D.C., for a consultation in Buffalo Grove, IL or to get more information. Christopher Dugas, D.C., is a chiropractor located in Buffalo, MO. Techniques: • Gonstead • Activator Methods Take the next step and contact Dr. Christopher Dugas, D.C., for a consultation in Buffalo, MO or to get more information. Damian D Redlinski, D.C., is a chiropractor located in Buffalo, NY. Take the next step and contact Dr. Damian D Redlinski, D.C., for a consultation in Buffalo, NY or to get more information. Louis Marconi, D.C., is a chiropractor located in Buffalo, NY. Take the next step and contact Dr. Louis Marconi, D.C., for a consultation in Buffalo, NY or to get more information. Joseph J Kam, D.C., is a chiropractor located in Buffalo, NY. Techniques: • Logan Basic • Diversified • Trigger Point Therapy • Concept Therapy Institute Take the next step and contact Dr. Joseph J Kam, D.C., for a consultation in Buffalo, NY or to get more information. Daniel Marty, D.C., is a chiropractor located in Buffalo, MN. Techniques: • Diversified Take the next step and contact Dr. Daniel Marty, D.C., for a consultation in Buffalo, MN or to get more information. Paul Werder, D.C., is a chiropractor located in Buffalo, NY. Techniques: • Diversified • Logan Basic Take the next step and contact Dr. Paul Werder, D.C., for a consultation in Buffalo, NY or to get more information. Barbara Coyle, D.C., is a chiropractor located in Buffalo, NY. Take the next step and contact Dr. Barbara Coyle, D.C., for a consultation in Buffalo, NY or to get more information. Adam Weiss, D.C., is a chiropractor located in Buffalo Grove, IL. Take the next step and contact Dr. Adam Weiss, D.C., for a consultation in Buffalo Grove, IL or to get more information. William L Krieger, D.C., is a chiropractor located in Buffalo, NY. Techniques: • Gonstead • Diversified • Total Body Modification • Activator Methods Take the next step and contact Dr. William L Krieger, D.C., for a consultation in Buffalo, NY or to get more information. Paul R DiLauro, D.C., is a chiropractor located in Buffalo, NY. Take the next step and contact Dr. Paul R DiLauro, D.C., for a consultation in Buffalo, NY or to get more information. Mohsen Radpasand, D.C., is a chiropractor located in Buffalo, NY. Techniques: • Gonstead • Cox Take the next step and contact Dr. Mohsen Radpasand, D.C., for a consultation in Buffalo, NY or to get more information. Greg Hnat, D.C., is a chiropractor located in Buffalo, NY. Take the next step and contact Dr. Greg Hnat, D.C., for a consultation in Buffalo, NY or to get more information. A M Jafari, D.C., is a chiropractor located in Buffalo, NY. Techniques: • Diversified • Gonstead • Palmer Package • Total Body Modification • Activator Methods Take the next step and contact Dr. A M Jafari, D.C., for a consultation in Buffalo, NY or to get more information. Kevin Phalen, D.C., is a chiropractor located in Buffalo, NY. Techniques: • Diversified • Gonstead • Thompson • Pierce • Activator Methods • Trigger Point Therapy Take the next step and contact Dr. Kevin Phalen, D.C., for a consultation in Buffalo, NY or to get more information. 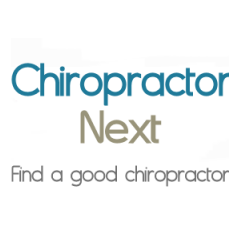 Gordon M Pointer, D.C., is a chiropractor located in Buffalo, IA. Techniques: • Diversified • Palmer Package Take the next step and contact Dr. Gordon M Pointer, D.C., for a consultation in Buffalo, IA or to get more information. John N Zilliox, D.C., is a chiropractor located in Buffalo, NY. Techniques: • Activator Methods • Total Body Modification • Gonstead • Diversified • Logan Basic Take the next step and contact Dr. John N Zilliox, D.C., for a consultation in Buffalo, NY or to get more information. Jeffrey F Bova, D.C., is a chiropractor located in Buffalo, NY. Techniques: • CranioSacral Therapy • Clinical Kinesiology • CHRANE • Versendaal • Body Restoration Technique • Blair Take the next step and contact Dr. Jeffrey F Bova, D.C., for a consultation in Buffalo, NY or to get more information. Daniel R Johnson, D.C., is a chiropractor located in Buffalo, NY. Techniques: • Applied Kinesiology • Sacro Occipital Technique • Activator Methods Take the next step and contact Dr. Daniel R Johnson, D.C., for a consultation in Buffalo, NY or to get more information. Jodi A Spurback, D.C., is a chiropractor located in Buffalo, NY. Techniques: • Activator Methods • Cervical Drop Headpiece • Diversified • Flexion-Distraction • Gonstead • Thompson • Toggle Recoil Take the next step and contact Dr. Jodi A Spurback, D.C., for a consultation in Buffalo, NY or to get more information. Frank M Thomas, D.C., is a chiropractor located in Buffalo, NY. Take the next step and contact Dr. Frank M Thomas, D.C., for a consultation in Buffalo, NY or to get more information. Jill Nervina, D.C., is a chiropractor located in Buffalo, NY. Take the next step and contact Dr. Jill Nervina, D.C., for a consultation in Buffalo, NY or to get more information.